One of our favourite brands have just launched their very awesome Spring collection. 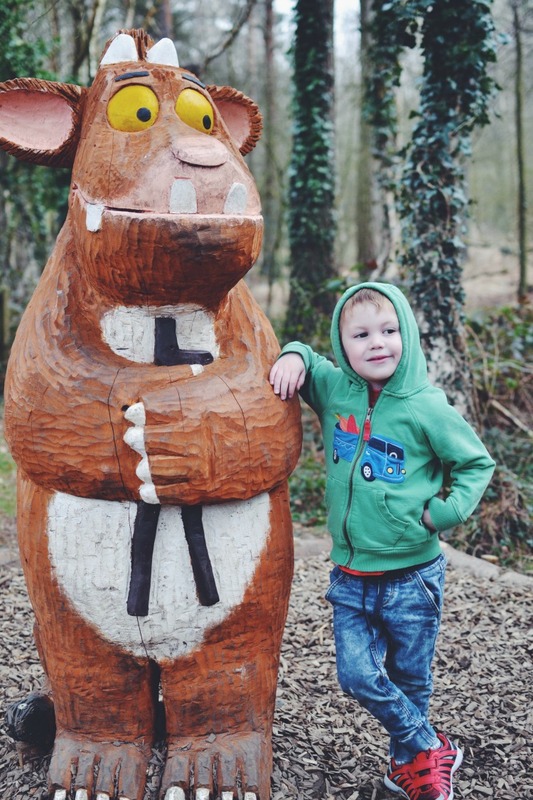 We take our roles as Frugi Family members very seriously, so we took our little man and his Zip Up Hoody (£32) to Moors Valley Park to see how it coped in the wild with a very active little boy. 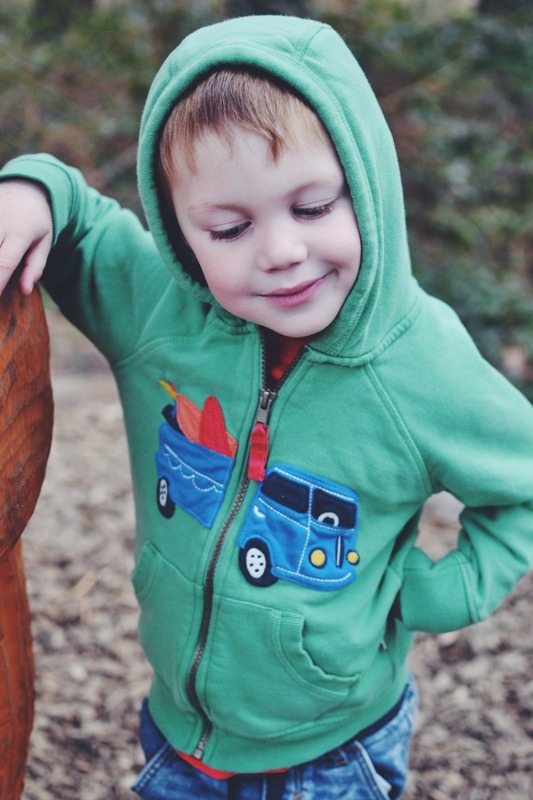 M is at the age when he is becoming super independent and wants to dress himself, zips and all. Which has meant the majority of his wardrobe is bright and colourful and easy to put on. 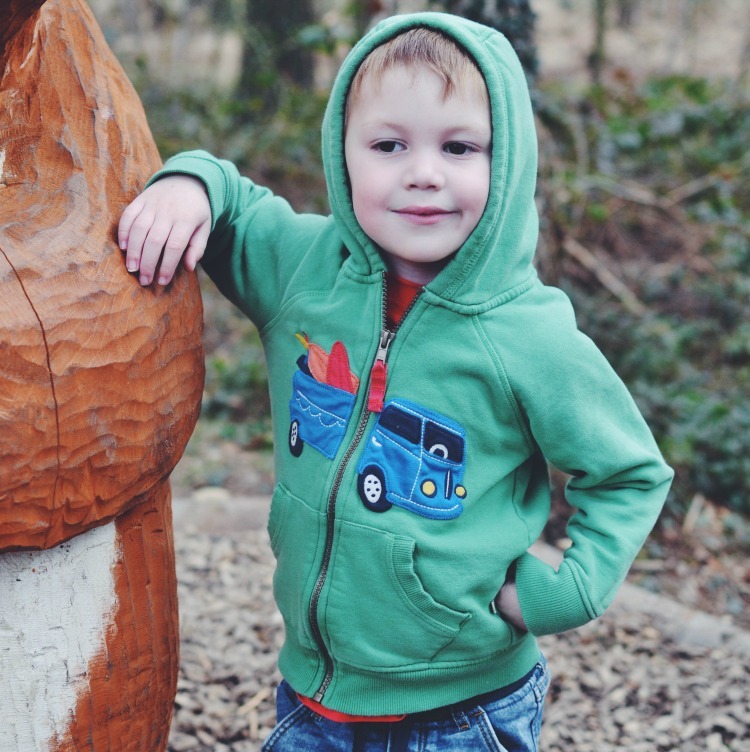 The funky design of the Frugi zip up hoody was a perfect addition to his wardrobe and has been worn pretty much every day since it arrived (with days off to go in the washing machine). The fit is perfect and provides some growing room, which all children need as who wants to spend out lots every 4 weeks when they have another growth spurt. M is a tall boy yet fit the size 3-4 fits very well. It’s cosy and soft and the zip is nice and firm which makes it easy for little hands to use, but not too firm that it becomes uncomfortable. 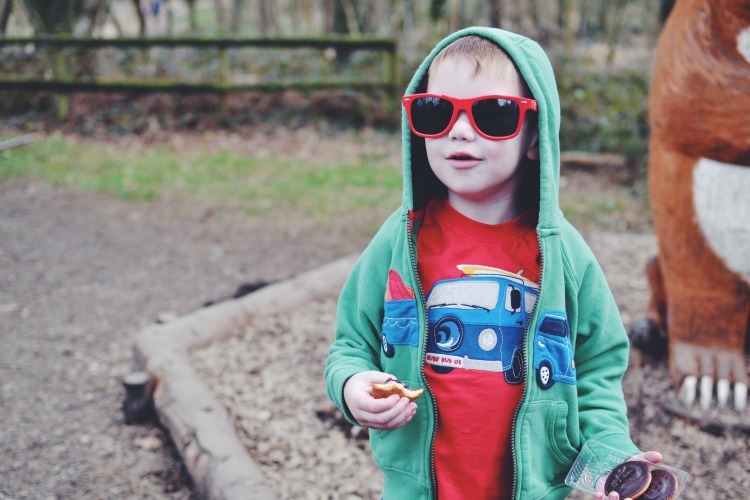 Being an active child means M’s clothes get put through very muddy paces and in fact due to some car sickness he even christened his hoody with juice on the first outing. But fear not, it went through the washing machine on a eco wash and has come out looking brand new. The camper van design is perfect our our transport loving boy and even appeals to C and I as we love the surfer look. Living 30 minutes from the beach means we daydream of a surfer lifestyle at least once a day. 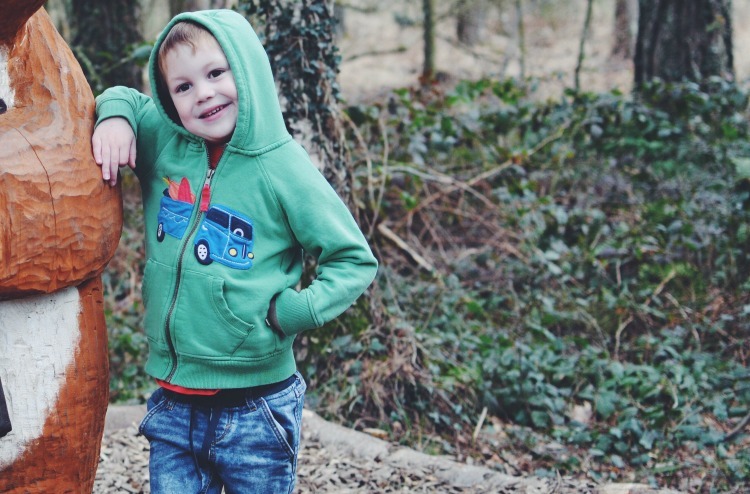 Frugi not only produce fantastic clothes, they also care a lot about the planet and where they source their materials from, which makes them a pretty great brand to support. They are also based in one of our favourite locations in the UK, so we’re hoping we get to meet them one day. 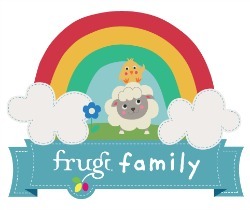 We’re not the only members of the Frugi Family talking about the Spring collection this week. If you click the cute image below you can check out Karen’s blog over at “Would like to be a yummy mummy”. For more information on review posts, please read our Disclosure Policy. He is just the perfect little model!! Love that hoodie, such a great colour and wonderful photos as always! I too love how well everything washes! This is super cute, and I love that he loves dressing himself too! What gorgeous pictures 🙂 I too love how well it washes and how they stay looking great!